*Preheat oven to 375. Put 16 paper baking cases in a muffin pan, or put 16 double-layer paper cases on a baking sheet. *Put the coffee granules in a cup or small bowl, adding the boiling water, and stir until dissolved. Let cool slightly. *Put the butter, sugar, and eggs in a bowl. Sift in the flour and baking powder, then beat the ingredients together until smooth. Add the dissolved coffee and the sour cream and beat together until well mixed. Spoon the batter into the paper cases. 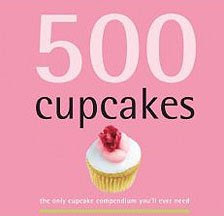 * Bake the cupcakes in the preheated oven for 20 minutes, or until well risen and golden brown. Transfer to a wire rack and let cool. *To make the frosting, sift 3/4 cup of the confectioners' sugar into a bowl, then gradually mix in the warm water to make a coating consistency that will cover the back of a wooden spoon. Dissolve the coffee granules in the boiling water. Sift the remaining confectioners' sugar into a bowl, then stir in the dissolved coffee granules. Spoon the frosting into a pastry bag fitted with a piping tip. When the cupcakes are cold, coat the tops with the white frosting, then quickly pipe the coffee frosting in parallel lines on top. Using a skewer, draw it across the piped lines in both directions. Let set before serving. Okay, now you're in trouble. I want one of those cupcakes - right now. Instant gratification. I got into cupcakes back when Zach was graduating. 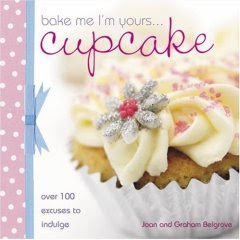 Check out: Small Batch Baking from Debby Maugans Nakos...there are some great ideas there too. LOVE your planting pictures too...I am getting that bug also!!! Oh-oh! Now we're all in trouble. Do you have plans to open your own cupcake shop? Wouldn't that be fun? I wonder if you live in an area where you'd be guaranteed a lot of customers. In fact, I think your cupcake shop (see how quickly my fancy takes flight!) would be a wonderful retreat.